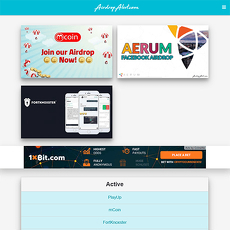 Airdrops Live platform is incredibly easy to use and just like most other airdrop sites, contains past, present, and current airdrops. 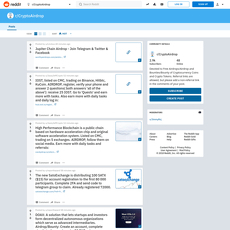 The platform also spans across Telegram and Twitter to ensure you can stay up to date with posted information. 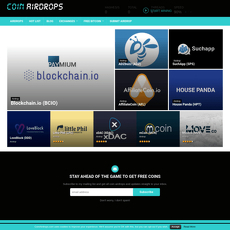 An easy to understand frequently asked questions section located at the bottom of the home page allows newbies in the airdrop scene to brush up on their general crypto and airdrop information. 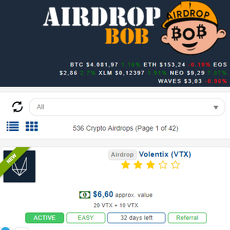 The very first thing located on the site is a “Top Crypto Airdrops for (Month)” list. 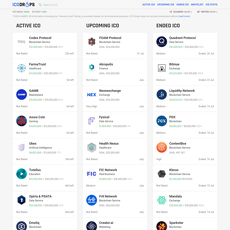 This list immediately shows users what the best airdrops are for the current time period, which is quite nice if you’re in a hurry. Easy to submit airdrops and may be a good place to get your projects noticed. Hottest projects for the current month list. 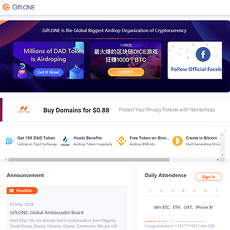 Seems to be a well updated platform with good connections to its social media outlets. 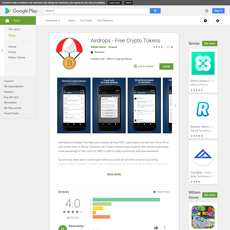 Has a “like” system showing you what the hottest airdrops are on the site. Nothing particularly outstanding over the rest of other airdrop websites.